Upon specification of your search criteria (pick-up/return location, date and time) in the above form, you will be provided with all our relevant and actual vehicle offers. If you wish to return a car in a different location than Maribor, please tick the 'Different Drop Off Location' check box. 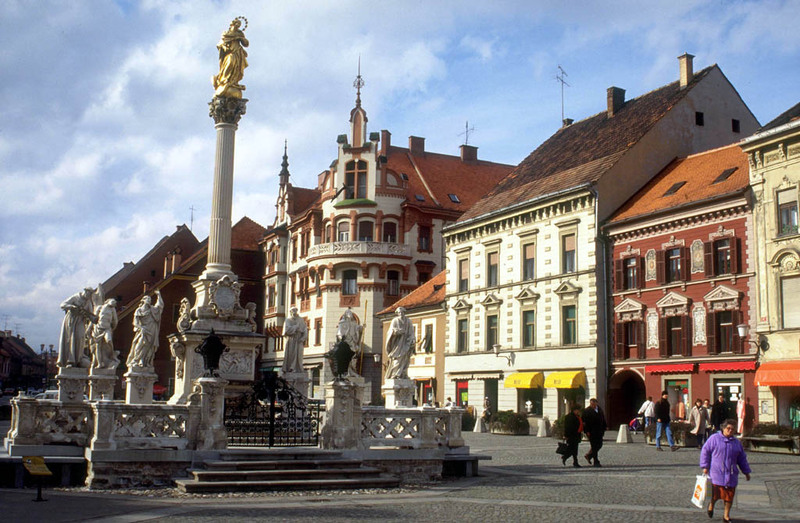 The most recent car booking in Maribor has been made on our website 3857 minutes ago. In Maribor, we offer for rental 5+ car categories from 5+ rental suppliers. Budget rental. The most economical offers in Maribor are rendered for the following cases: (a) your pick-up date is 2-6 months ahead; (b) the same pick-up and return location and (c) a long-term rental (one week and longer). In Slovenia, cars with a mechanic transmission and a petrol engine are less expensive than vehicles with an automatic transmission and a diesel engine. Reservation options. At your reservation time, you can additionally select a GPS navigator, child seats, winter tires, and many other convenient options. For most of the cars in Maribor, we will offer you a full coverage (zero franchise) insurance (full coverage of your risks, No Excess). Car pick-up. The rental office in Maribor will make the vehicle ready for you at the time indicated during your reservation. Upon arrival, you should show the required documents: your voucher, driving license and credit card. The rental office will provide you the keys, rental documents, and the invoice. Please check that all the data in the documents and invoice coincides with the data in your voucher. Safety. Have your rental papers with you during the whole rental period in Slovenia, do not leave them in the car or at your hotel room. Keep car keys in a safe place out of reach of burglars in Maribor. In case of a car theft, your insurance will be invalid without keys provided. Car return. The final examination of the vehicle, final payment, and issuing of documents are performed in Maribor office upon the return of the vehicle. The fuel conditions (return with a full tank or an empty tank) are indicated in your voucher. 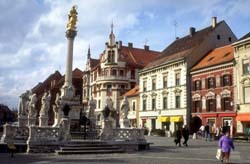 OrangeSmile.com wishes you an exciting driving experience in Maribor! Nagoya outskirts are the location of an interesting ethnographic museum in the open air that is called Meiji Mura. Antique houses that were traditionally built in Japan in the second half of the 19th century are the main exhibits of this unusual museum. Houses from different parts of the country were brought to this museum, and some of the buildings belonged to famous and noble people in the past. Each of the houses features an interesting collection of antique items. The museum has one more unusual peculiarity – it has its own tram line with retro trams that take passengers to a tour around the museum. The age of the trams is also more than a century. Atsuta-ku temple is the most interesting religious landmark of the region, but it is also safe to call it a museum. The temple keeps a unique emperor’s relic – the sacred sword of Kusanagi no Mitsurugi. Atsuta-ku has several spacious halls that are equally beautiful and luxuriously decorated. In total, there are more than 3000 different cultural and historical artifacts exhibited for visitors. It is important to note that people of absolutely different religion can visit this temple.